What a precious card this is that I received from Carol Lambert. Carol combined the Birthday Delivery Stamp Set and the Icing on the Cake Stamp Set with the Birthday Friends to make this masterpiece. I absolutely love how it appears that you are actually looking at the top of a cake, genius!!! 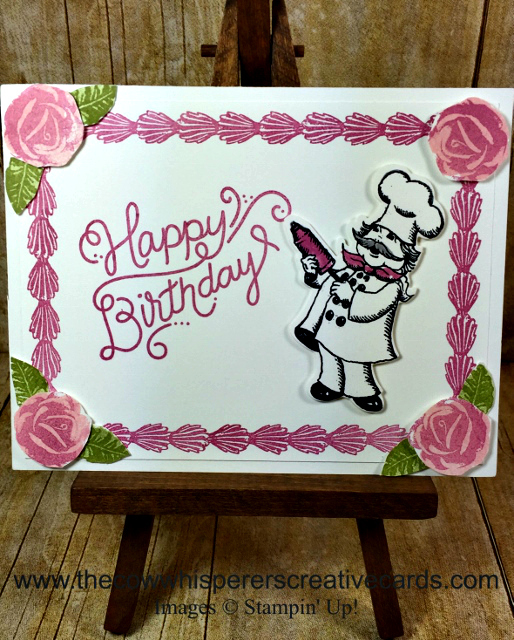 Berry Burst is her color of choice to make everything pop especially on the bakers bandana tie and pastry tool (can you tell I'm not real sure what that frosting squeezer is called) ;) I hope you enjoyed checking out Carol's card as much as I enjoyed receiving it as a swap card. 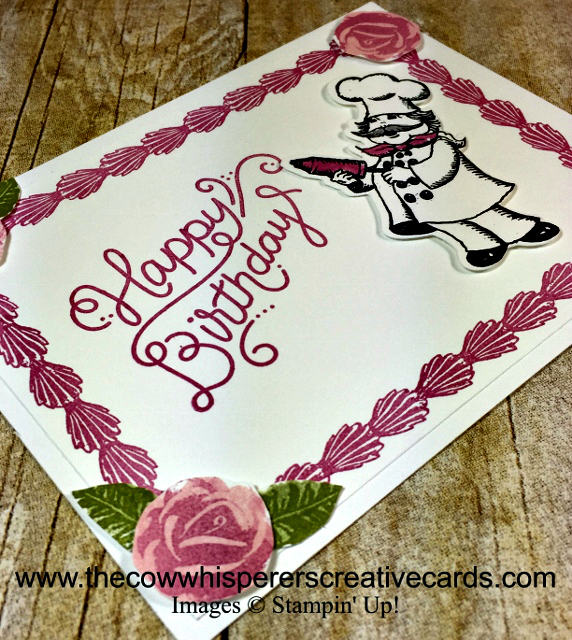 This is such a cute card - looks like a layer cake for sure! Thanks for sharing!